Newsmakers : Is Greenspan Heading For His Second Bush Showdown? Alan Greenspan is painting himself into a corner that could lead to a confrontation with the Bush administration as next year’s presidential election draws closer. By promising to keep interest rates low for a considerable period, the Federal Reserve chairman could be delaying an eventual series of rate increases until a period when the election battle is heating up. Everybody knows that rates will have to rise sometime to keep bond buyers from getting spooked about a possible return of inflation. Producer prices already are rising as the economy bounces back. Action in the eurodollar and federal funds futures markets suggests the US rate hikes will start in mid- 2004. 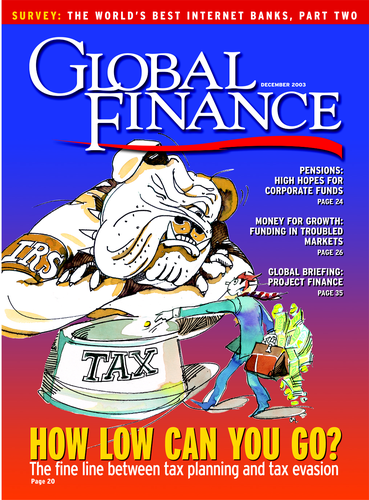 Greenspan, who is now in his 16th year as head of the nation’s central bank, angered the Bush White House last February when he suggested in congressional testimony that the economy needed fiscal discipline more than another round of tax cuts. 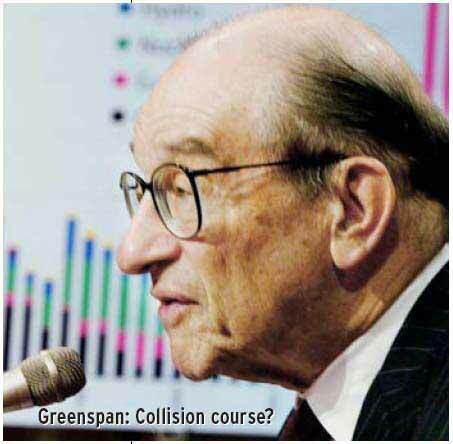 Former aides of Bush’s father still blame Greenspan for dooming the senior Bush’s chances for reelection when the Fed chief orchestrated a tightening of monetary policy in 1992. If the US economy continues to improve in the months ahead, Greenspan may need to find an exit strategy from his promise to maintain an accommodative policy for quite some time. Already, some Fed officials are suggesting that easy money doesn’t necessarily mean that the federal funds rate must stay at 1%, the lowest since 1958.The 7.2% surge in US gross domestic product in the third quarter and improvement in the labor market in recent months are increasing pressure on the Fed to act. Greenspan says he will be patient, however, because inflation remains extremely low. His patience could eventually run out at a bad time for George W. Bush.